Trystan makes your plants feel at home. 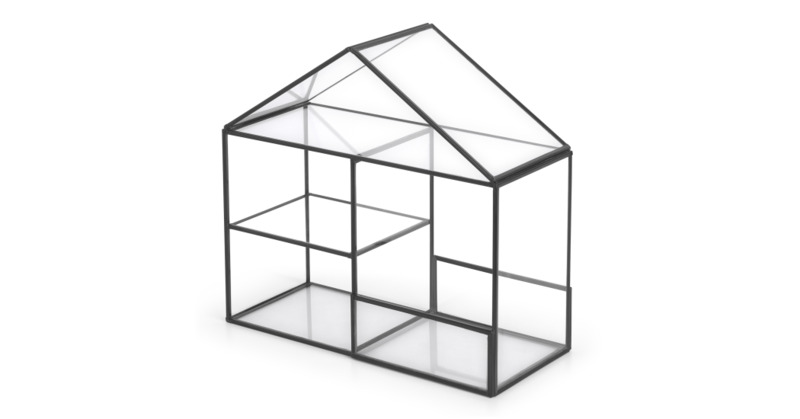 A grow house with a refined look, it’s perfectly sized to fit on any tabletop. Use Trystan as a herb garden in your kitchen. Simply lift the lid to water or pick your sprouting plants. Trystan combines black metal and tempered glass for an industrial effect. Its clear walls make sure your plants get lots of light wherever you place it.